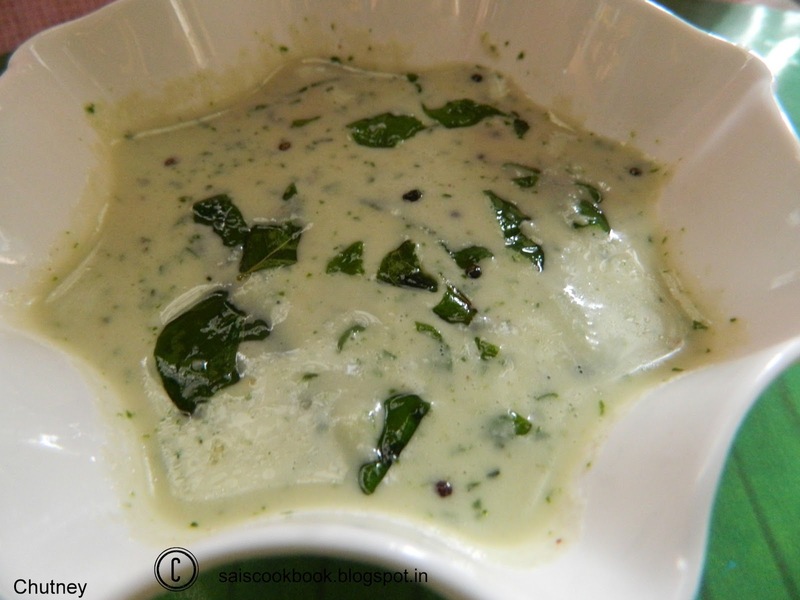 Chutney is a must to be served with the dosa,idli,undi etc in the GSB cuisine.This is one of the recipe where coriander leaves is the main ingredient. We prepare different kinds of chutney with different dosa’s like ginger chutney,red chutney etc.This is a very simple recipe and I adapted this recipe from Santoshi Nayak. Grind coconut,green chilly,roasted bengal gram dal and tamarind to a fine paste. When the masala turns smooth add coriander leaves and run the blender for half a second,the coriander leaves should be coarse in the chutney. 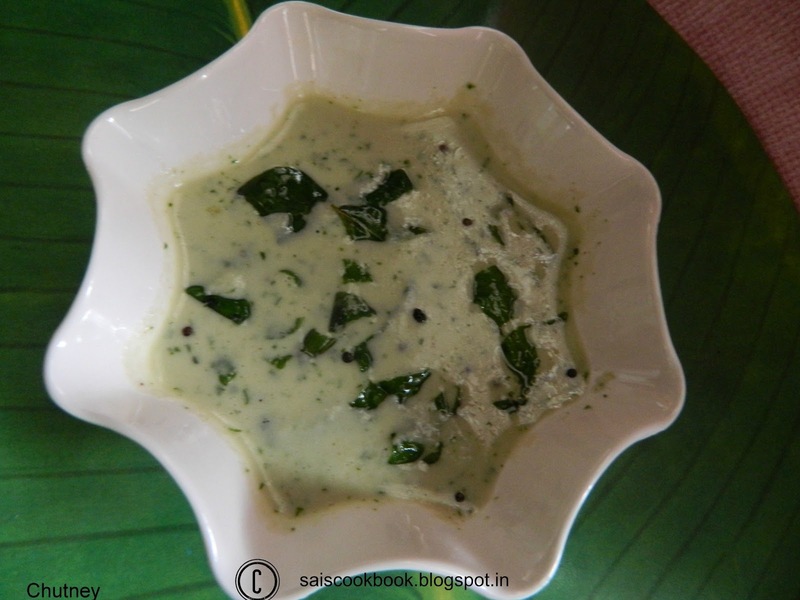 Transfer the chutney in a bowl,add salt to taste,masala water and adjust the chutney to a medium thin consistency. Heat oil in a seasoning pan,splutter mustard seeds and add curry leaves and fry for a second. Off the flame,add asafoetida in the seasoning and season it to the chutney. Serve it with dosa,idli or undi.